Back in the days, even though it wasn’t very high up on the set hierarchy, the second camera assistant was the person who literally had in his hands all the footage, because it was in charge, between many other things, of loading and downloading the film magazines and organize both the exposed and unexposed film stock. And aside of that, this person still is an essential piece of help to the first assistant cameraman, so is a key part of an efficient camera crew. 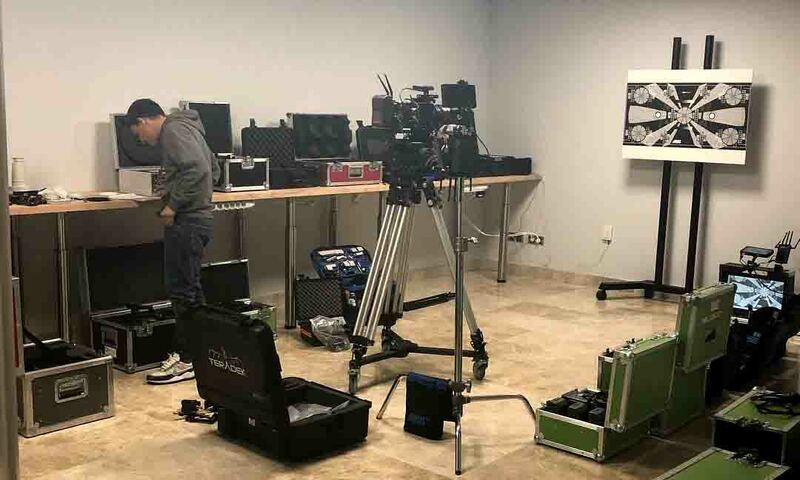 And for the peace of mind of both the production and the rental house is paramount that the second assistant cameraman, who is in charge of organize and take care of the equipment, has a perfect knowledge of it so he can be as fast and effective as possible, without taking time from other tasks as important as the clapperboard or the camera reports. The 2nd assistant camera we are working with use our equipments on daily basis so there is literally nobody more suitable when it comes to choose the components of the camera crew. At Camaleón Rental we consider that a good 2nd AC is a "win win", both for us and for you and we are committed with the quality of our technicians so you don’t need to worry about anything more than your project. We work with bilingual, english-spanish, professionals.